Østerport Station (Danish: Østerport station) is a main line and S-train railway station in Copenhagen, Denmark. It is located between the districts of Indre By and Østerbro, and is named for the historic Østerport city gate, near the original location of which it is located. The station is served by EuroCity services to international destinations, some InterCity services across Denmark, regular and frequent regional train services to and from Zealand and southern Sweden, as well as commuter rail services on the S-train network. By 2019, the service will include the Copenhagen Metro as well (future lines M3 and M4). The station opened in 1897 as the terminus of the Coast Line from Copenhagen to Helsingør. The station is used by approximately 30,000 passengers each day. The station under construction in 1896–97. 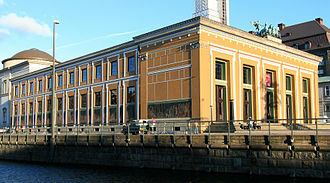 The station was designed by Heinrich Wenck and built in 1897, and originally named the East Station (Østbanegaarden). 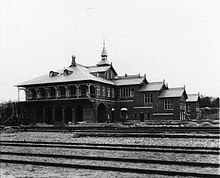 The original station building has survived to the present date, and was restored in the 1980s. It was originally the terminus for the Coast Line, but when the station was connected with Nørreport Station via the Boulevard Line in 1917, the terminus moved to Copenhagen Central Station. In 1934, the station started serving S-trains. The station is served by EuroCity services to international destinations, some InterCity services across Denmark, regular and frequent regional train services to and from Zealand and southern Sweden, as well as commuter rail services on the S-train network. By 2018, the service will include the Copenhagen Metro as well (future lines M3 and M4). When completed in 2019, the Copenhagen Metro lines M3 and M4 on the City Circle Line will serve the station. Plans are to place the Metro station on Oslo Plads between Kristianiagade and Østbanegade with the staircase towards Østerport station. A subway between the Metro platforms to the main station building will allow passengers easy interchange to and from S-trains, InterCity, and regional services. Østerport station is seen at 1:24:15 (track 13) and again at 1:24:48 /track 5/) in the 1975 Olsen-banden film The Olsen Gang on the Track. 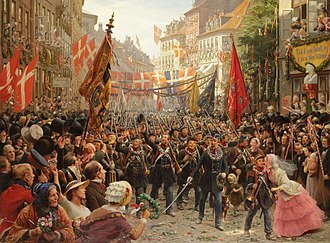 ^ "Resumérapport Udredning om Cityringen" (PDF) (in Danish). Ministry of Transport and Energy. p. 24. Archived from the original (PDF) on 11 June 2011. Retrieved 22 July 2006. Wikimedia Commons has media related to Østerport Station. EuroCity, abbreviated as EC, and meaning EuroCity express or EuroCity express train, is a cross-border train category within the European inter-city rail network. In contrast to trains allocated to the lower-level IC category, EC trains are international services that meet 20 criteria covering comfort, food service and cleanliness. Each EC train is operated by more than one EU -based rail company, under a multilateral co-operative arrangement, the EuroCity label replaced the older Trans Europ Express name for border-crossing trains in Europe. Whereas TEE services were only, EuroCity trains convey first. The EuroCity schedule was designed with train pairs running one train in both directions, thus resulting in a frequent service than the TEE, which normally ran only once a day. The night services are operated as EuroNight since 23 May 1993, all EuroCity trains carried names, and many still do, continuing the practice started with the luxury trains of the 19th and early 20th centuries. The names are printed on brochures showing the times of arrival and departure at every stop and details of the journey, these are placed on the seats by the train staff. A few trains have used the names of the earlier Trans Europ Express or InterCity trains that they replaced on the same route, for example Iris for Brussels to Zürich. The names were related to the cities and region the trains served and chosen from historical or mythological figures. In 1991, the decision was made to name the EuroCity services after famous Europeans, on 29 July 1991, the European Community decided to reorganise the legal structure of the railways in order to stimulate commercial operation and reduce government subsidies. After 20 years the implementation is still ongoing, but it has affected the railway operators already, as a consequence of this trend, the named EC trains on the Paris–Brussels–Amsterdam route disappeared in 1995–96, replaced by unnamed TGV trains and by Thalys service. 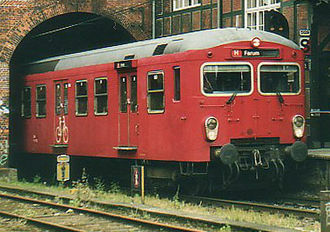 Between the Netherlands and Germany the Intercity-Express was introduced in 2000, resulting in the disappearance of the EuroCity brand on those train routes. The French–Swiss TGV services lost their names on 17 May 2003. Gedser is a town at the southern tip of the Danish island of Falster in the Guldborgsund Municipality in Sjælland region. It is the southernmost town in Denmark, the town has a population of 768. It is an important port town on the Baltic Sea, Gedser Church was designed by Peder Vilhelm Jensen-Klint and dates from 1915. Gedser was the first place German troops landed during the occupation of Denmark on April 9,1940 at 3,55 in the morning. 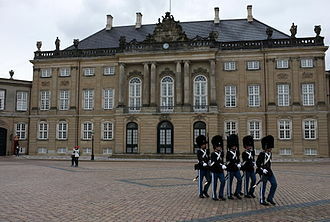 A number of armored cars and infantry troops hid in the ferry from Rostock and advanced into the harbor as soon as the ship docked, until January 1,2007, Gedser was a parish of the former municipality of Sydfalster in Storstrøm County. In the Kommunalreformen that municipality merged with Nykøbing Falster, Nysted, Nørre Alslev, situated in the southernmost part of Denmark on the island of Falster, Gedser is a port town on the Baltic Sea. European route E55 passes through the town, Gedser Odde is the southernmost point in Denmark. A car ferry route has operated from Gedser to Rostock in Germany since 1995, there were train and car ferry routes to Großenbrode and Warnemünde and a car ferry route to Travemünde, all in Germany.